Dr. Leslie A Elston offers a variety of procedures to restore broken, damaged or decayed teeth. Restorative dentistry is an important aspect of meeting the needs of patients. Over time, wear and tear, and ineffective home care may catch up with many of us. The result can be broken teeth, fractured fillings and cavities. 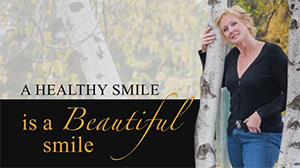 Dr. Elston believes that a beautiful, healthy smile is not just confined to our front teeth but to the entire mouth. The treatment options that allow her to meet your restorative needs while providing you with an esthetic result are listed above. Click on any treatment option shown above to learn more details about the procedure and about our process. Please contact us today if you feel you may have teeth that require help and preventative measures. Dr. Elston and her professional hygiene staff are here to help ensure your teeth are with you for years to come and to help you attain a healthy, beautiful smile… for life! Below is a list of specific services that you may want to know more about.